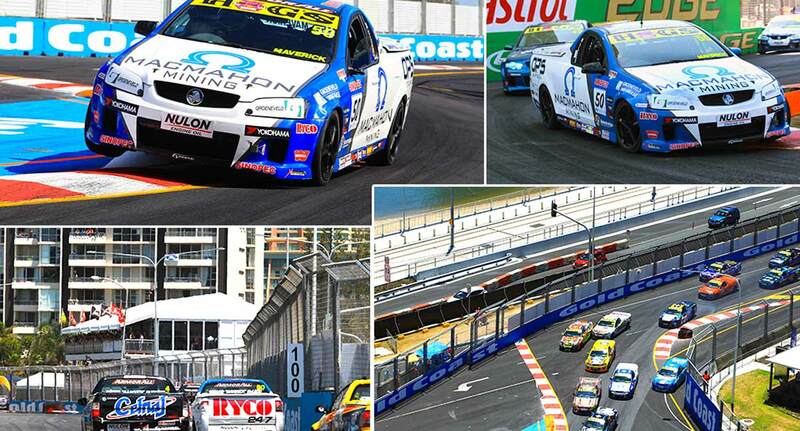 The Macmahon Racing team have walked away from Round 7 of the V8ute Championship on the streets of the Gold Coast left wondering what might have been after another run of bad luck ended what would have been a fantastic result. The weekend started with Gerard “Maverick” McLeod narrowly missing a Top 10 qualifying result ending up 11th at the end of the 20 minute session only 0.9 tenths of a second off pole position. The weekend’s final race saw McLeod starting from the rear of the field (28th) again on points tally and yet again McLeod was in the hunt early moving up to the top 20 within the first lap. McLeod then picked off another five cars lap by lap with an impressive drive to finish 15th at the end of the 12lap race. The eighth and final round of the V8ute championship is on the 5-7th December on the streets of Sydney’s Homebush Bay Olympic Park. You can keep up to date with all the V8ute news by logging onto the official V8ute website www.v8utes.com.au.